Recent legal actions have shown that despite good intentions to be ‘inclusive’, there remain many technology access problems for students who have disabilities in modern higher education settings. This guide is aimed at people working in higher education who are looking to improve their overall accessibility efforts. The guide provides step-by-step advice including (1) Getting acquainted with digital accessibility solutions; (2) Addressing accessibility as an organization-wide concern; (3) Understanding the legal risks associated with inaction; (4) Utilizing published policies and program implementation advice; and (5) Seeking expert help when needed. The guide also includes a section providing students with advice on self-advocacy and other resources to help with overcoming technology obstacles encountered in higher education settings. Important Note - Expired article! Colleges and universities typically embrace the idea of a diverse student body, inclusive of students with disabilities. Creating a campus that is physically and technologically accessible to students with disabilities takes leadership, planning, and commitment. Understanding internationally accepted accessibility guidelines, federal requirements, and strategies for adopting inclusion are key undertakings. This step-by-step guide is intended to help institutions of higher education improve their accessibility across the board in terms of Information and Communications Technology (ICT). Your student body can be the diverse gathering of students you seek. College students can achieve their true potential and not be limited by accessibility barriers. Your employees who have disabilities can have accessible digital technologies. Content note: This guide is a revision of an earlier resource guide produced by National Federation of the Blind’s Center of Excellence in Nonvisual Access to Education, Public Information, and Commerce (CENA). As such, the content of this guide is heavily focused on issues relating to blindness, although the content also has applicability for other kinds of disability. In future revisions to this guide we will endeavor to include examples to represent the intended broader scope. Digital accessibility refers to the practice of designing ICTs so that they are usable by all people, including people with disabilities. It allows for digital information to be available visually, aurally, and tactilely. Most of the time, the term digital accessibility reflects the needs of those who use specially designed technology to complete tasks on a computer or mobile device. These devices and software are called access technology, and they provide for equality in education, employment, and other major life activities. For example, students who are blind or have other print disabilities often use screen-reading software to verbalize or put into Braille what the sighted computer user sees. However, in order for screen-reading software to convert text into speech or Braille, the website, learning management system, or document must be created in accordance with standards and procedures that enable the software to function. If websites, learning management systems, and instructional materials are not created in accordance with accessibility standards, students who rely on the use of screen-readers will not be able to access or utilize the information they contain. Note: There is a wealth of additional information available on the internet introducing technology accessibility. Before you launch into addressing any technology issues that have been brought to your attention, it is useful to take a step back and consider what was the situation that gave rise to the technology issue in the first place. Accessible technology solutions have been around for decades. One of the main problems, we find, is that there is no organizational approach to addressing accessibility. That is, it is not part of the organizational culture. (‘Culture’ = What people say + What people do.) When a student approaches a lecturer with an accessibility problem preventing them from completing a task, what does that lecturer say and do? Having appropriate policies in place, offering and delivering training, and having appropriate support mechanisms—for lecturers (and other staff) who may not have been previously acquainted with accessibility issues—reduces your institution’s level of risk. Justin’s assessment that “no one has guidelines” seems to be borne out of frustration. The frustration is not that the guidelines don’t exist (they do) but that his institution’s staff weren’t actively seeking those guidelines out and then acting on them. When websites, documents, learning management systems, and other applications are built with accessibly addressed from the beginning, and university procedures and procurement policies include digital accessibility requirements, students with a variety of backgrounds and abilities will have integrated access to all aspects of campus life. Building accessible platforms and documents from the beginning will erase the need for and cost of retroactively recreating parts of your digital content. Note: In the Accessibility Switchboard, we have provided guidance on how to get started with addressing accessibility at an organizational level; and provided guidance in the form of answers to common questions about how to get started with integrating accessibility into organizational components. Meeting legal obligations and providing equal access on campus requires time and commitment at all levels; but ultimately it requires a change in culture. Adopting policies and procedures that consider accessibility can create blueprints for a truly accessible campus. For example, having procurement plans in place that favor purchasing accessible technologies is an easy fix. The National Federation of the Blind also maintains a list of Web Accessibility Consultants. Help can also be sought form national and international professional and industry accessibility associations as well as consumer disability organizations. The Self-Advocacy in Higher Education Toolkit is designed for blind students seeking to better understand the higher education accommodation request process, mitigate access barriers on campus, and ultimately to succeed at their schools in their chosen area(s) of study. Note: If you are new to blindness and looking for an introduction to the various types of device and software that are available to help you, consult the Technology resource list. We have produced a guide to help people with disabilities document their difficulties interacting with technologies. It helps to have different aspects of the problem documented (described) before reaching out to customer support (or in this case, your higher education institution’s supports) in search of a resolution to an accessibility problem. The guide provides structure in terms of (1) self-diagnosing the problem; (2) documenting what other (nondisabled) people can do; (3) documenting your disability in functional terms; (4) describing the problem; and (5) contacting customer support. If this process is not successful, we provide additional guidance on how to escalate the problem further. This guide is entitled ‘Documenting a day in your life: demonstrating the level of accessibility of the technologies you interact with, and those you cannot interact with’. If you are a blind or low vision consumer having difficulty using a particular Information and Communications Technology (ICT), you can use our: Consumer Contact Form for the National Federation of the Blind. We also provide a list of other consumer disability organizations who can be contacted to seek help overcoming accessibility issues. Q&A: Where do I get good / accurate information on ICT (web, software, mobile, electronic document) accessibility? Q&A: What are the steps I can take to reduce the likelihood of getting sued over the accessibility of my ICT? The NFB Center of Excellence in Nonvisual Access to Education, Public Information, and Commerce (CENA) is a collection of resources from NFB and its partners on technology accessibility. This article was originally published as the ‘Higher Education Accessibility Online Resource Center’ page as part of the National Federation of the Blind’s Center of Excellence in Nonvisual Access to Education, Public Information, and Commerce (CENA). This revised article is published as part of The Accessibility Switchboard Project, an initiative of the National Federation of the Blind Jernigan Institute, and from the Maryland Department of Disabilities. 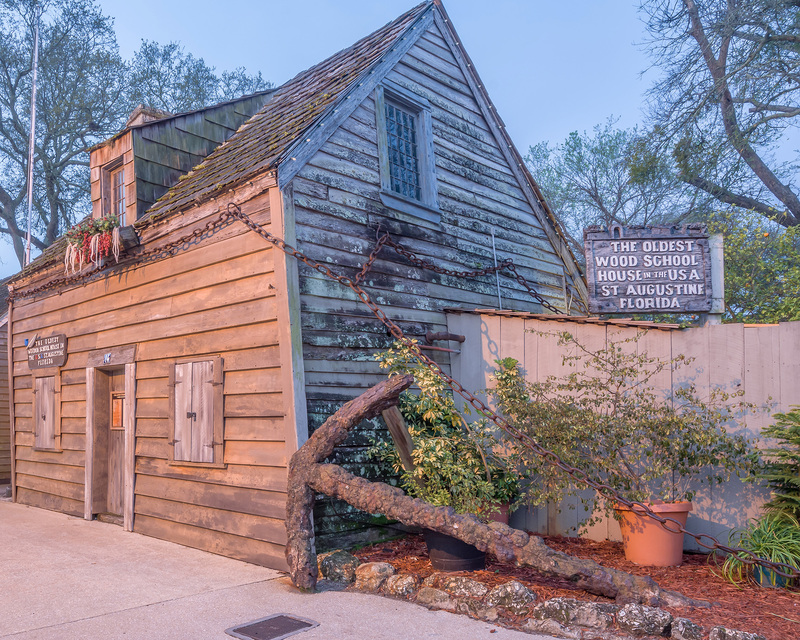 ‘The Oldest School House in the USA’ by Jesse Lee Tucker. CC BY-SA 4.0.